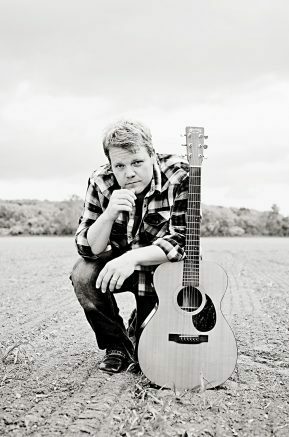 The Church of the Annunciation, 7580 Clinton St., Elma, will once again host singer and songwriter Chris Wilson for a free concert featuring songs of faith and Christmas favorites at 7:30 p.m. Saturday, Nov. 10. A reception will follow. Wilson has received honors across the globe, included winning Best Male Vocalist and Best Overall Performance at the World Championships of the Performing Arts in Los Angeles. He has performed in front of hundreds of thousands of people from New York to Hong Kong, done soundtrack work with Director Dennis Dugan (Happy Gilmore, Big Daddy) in Hollywood, and continues to maintain a busy global touring schedule. Wilson has also gained significant media exposure, appearing in and being interviewed by such publications as Billboard Magazine and the Los Angeles Times. The Annunciation event is open to the public; a free will offering would be appreciated to help defray expenses. For more information on the Church of the Annunciation, please call 683-5254 or visit www.annunciation.cc. Be the first to comment on "Annunciation Church to host Chris Wilson concert on November 10"